The department looks after the information technology needs of the whole of Air Niugini. Air Niugini has offices in all provinces of PNG except for Gulf Province. There are also offices in overseas countries. Here are our favourite links. Please come and visit them. 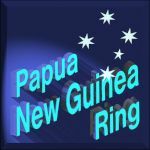 This PNG Ring site is owned by [PX Info Tech].